Gregg Popovich Blasts Donald Trump's Election In Lengthy Monologue: "We Are Rome"
Spurs coach Gregg Popovich, who has long given well-thought-out responses to a host of social and political issues, spent six minutes of his press conference before tonight’s game against the Pistons harshly criticizing President-elect Donald Trump, and the fact that people voted for him after the campaign he ran. I’m a rich white guy, and I’m sick to my stomach thinking about it. I can’t imagine being a Muslim right now, or a woman, or an African American, a Hispanic, a handicapped person. How disenfranchised they might feel. And for anyone in those groups that voted for him, it’s just beyond my comprehension how they ignore all of that. My final conclusion is, my big fear is—we are Rome. 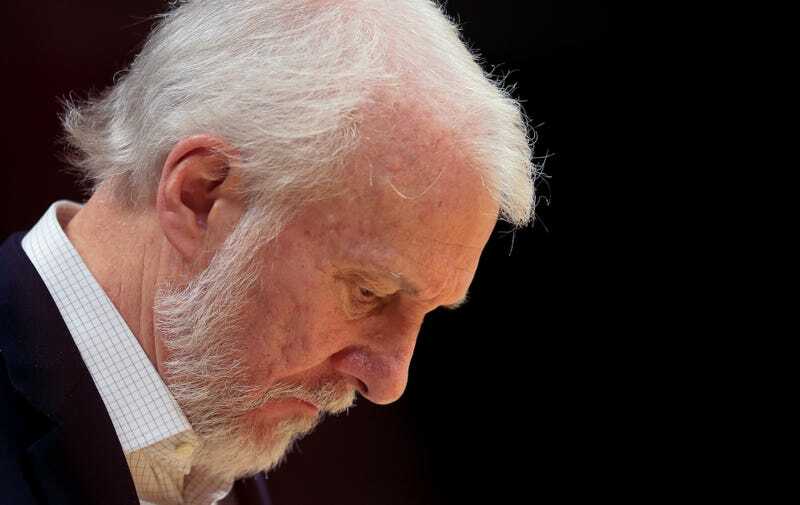 You can read a full transcript over at mysanantonio.com, or listen to Popovich below.